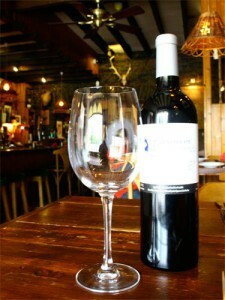 At The Vintage we are proud of the wines that we offer in our restaurant and our off licence. Some of the wines are specially purchased direct from the vineyard. We make a point of serving unusual and delicious wines that you will not find on Supermarket shelves. In The Vintage there are wines from throughout Europe and from South Africa, New Zealand, Australia and Chile. 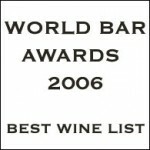 In 2006 The Vintage beat 800 entrants in the World Bar Awards in Dublin with the Best Wine List. Situated on the southern side of the Black Mountain (Montagne Noire), southern edge of the Massif Central, facing Mont Alaric, the vanguard of the Pyrenees, La Livinière spread its vineyards over the Aude valley, full of history, must pass between the Mediterranean and Atlantic worlds. Near the Canal du Midi, its trees and its nonchalance, midway of the Narbonne-Roman city, city of this Aymerillot that sang Victor Hugo and Carcassonne-the-proud where fleet even the banner of Raymond Trencavel. Here, the sun, exposure, climate and soil types have come together to give life to these unique wines, whose reputation is well established: the name “La Livinière”. The grapes are part hand harvested, and undergo classic vinification with a long maceration for 3 weeks, and aged for 18 months giving the traditional vintage. The grapes are harvested in the morning when temperatures are still low. Cool temperatures are maintained for 5-6 days to maximise the flavour, then the wine is fermented at low temperature. This wine has an amber color and an attractive fragrance of citrus. This dry white wine is a great compliment to seafood or salads.